Every year during the summer I forget entirely about winter squash existing, then I spot the first delicata (my favorite winter squash!). Then I think, oh yes, I remember now. Then I take it home and roast with oil, salt and pepper. Then I taste it and wonder how I lived without out for the last 6 or so months!? 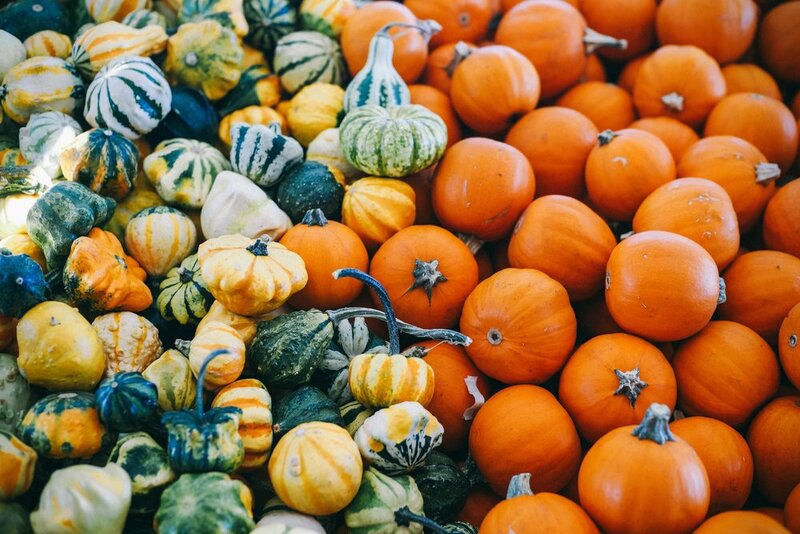 When I say winter squash I’m talking about: butternut squash, acorn squash, delicata squash, red kuri squash, pumpkin, kabocha squash, spaghetti squash, carnival squash, etc. There are tons of different varieties! Winter squash is sweet, creamy, super comforting and versatile. And guess what? It’s super good for you, too! Winter squash contains notable amounts of vitamin C, perfect this time of year to give your immune system support. Even though winter squash is rich in carbohydrates, they’ve actually been shown to help steady the release of sugar inside our digestive tracts and support a healthy glycemic response. The deep orange colors of many winter squashes signifies the presence of carotenoids such as beta-carotene (like sweet potatoes and carrots). There are many different carotenoids that have been identified in winter squash, which means a large variety of antioxidant properties for you! Winter squash is rich in fiber, specifically pectin - which can help us feel satiated and helps to keep the glycemic impact low. Wide nutrient spectrum - winter squashes contains good amounts of vitamin C, vitamin A, vitamin K and B vitamins. If you save and roast the seeds, you get bonus vitamin E.
Winter squash can be stored for long periods of time without losing many nutrients. In fact, concentration of carotenoids can increase over time! You can chop and roast squash, blend it into soups, make purees with it, even make dessert! Stay tuned for some squash recipes from me.